Assoc. Prof. Dr. Bilyana Tomova and Chief Assist. Diana Andreeva-Popyordanova from the Media and Public Communications Department will be responsible for the audiovisual sphere in the research project CICERONE (Creative Industries Cultural Economy pROduction NEtwork) financed by the EU Research and Innovations Programme Horizon 2020 – Socioeconomic and Cultural Transformations in the Context of the 4th Industrial Revolution. CICERONE will use “an academic analysis applied to the economic, cultural and social consequences of cultural and creative industries development and the opportunity to build up local capacity in the global production networks development”. The analysis methodology is innovative and the approach of Global Production Network (GPN) will be used for the first time. The objective is to build up European capacity in the cultural and creative industries as well as to turn the academic units in applicable instruments for policy making.  One of the instruments is the creation of European Observatory on Economics and Culture which is included in the tasks of the Bulgarian research team. During the first meeting of participants in the project (at the University of Bari) the UNWE lecturers presented their research in the field of economics and culture, the creative and cultural industries as well as the experience of the first research organization in the field of economics of culture - the Observatory on Economics and Culture.